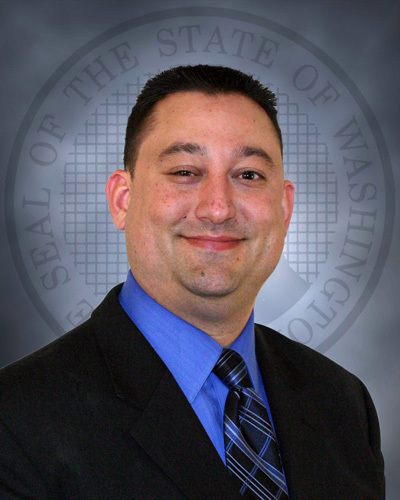 TUMWATER – Secretary Stephen Sinclair has named Mac Pevey as the Interim Assistant Secretary of the community corrections division within the Washington State Department of Corrections, effective June 1, 2017. Pevey currently serves as the Regional Administrator of the East Region and brings more than 18 years of correctional experience to the role. "Mac began his public safety career in community corrections 18 years ago as an officer in the Port Orchard field office," said Sinclair. "Since that time, Mac has steadily gained the knowledge and experience needed to gradually earn greater responsibilities and rise through the community corrections ranks. He has had oversight of both rural and urban field offices, and led the agency's Community Response Units (CRU) and electronic monitoring programs. He understands the daily business of working together for safe communities as well as the crucial leadership needed during the occasional emergent situations we face. Mac's professionalism serves our agency well as he continues our agency's commitment to positive community interactions and strengthening our community reentry relationship opportunities." Mac Pevey began his career with the Washington State Department of Corrections on June 1, 1999 as a community corrections officer and promoted through the ranks, serving as a community corrections supervisor, field administrator for section 4-Pierce County, and as a regional administrator. Pevey has also served as an adjunct professor of criminal justice at Seattle University since 2004. Pevey has his Bachelor of Criminal Justice from Seattle University and his Masters of Arts degree in Criminal Justice from Washington State University. Additionally, he is a graduate of the National Institute of Corrections' Executive Excellence Program in 2015. Pevey is the 2013 recipient of the Secretary's Leadership Award. "The community corrections division, at its core, is comprised of talented staff committed to public safety," said Pevey. "Throughout my career, I have been extremely fortunate to work with and learn from many of our outstanding community corrections professionals. I'm humbled and eager to serve the division and Department in this new capacity." Pevey takes over from Anmarie Aylward, who was named as Reentry Executive Order Project Director on May 22, 2017.